When it comes to The Plant Paradox, you want to make sure to stick to non-dairy alternatives, such as coconut milk or dairy products made from goats, sheep, and even water buffalo. And there are certain breeds of cows — like Guernsey, Brown Swiss, and Belgian Blue — whose milk doesn’t contain the dangerous protein casein A1. But sometimes these products are tough to find. Luckily, Dr. Gundry’s made it pretty easy for you by including some of them on this easy-access grocery list. The DELITIA Butter Buffalo Milk, 8 OZ. A Dr. Gundry favorite. 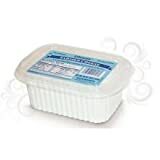 The Beurre President - First Quality Bar - Salted (7 ounce). A Dr. Gundry favorite. 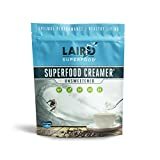 The Laird Superfood Coffee Creamer Unsweetened | Non-Dairy | Keto-friendly | Paleo | Gluten Free | Vegan - 1 lb Bag. A Dr. Gundry favorite. 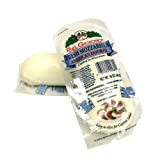 The Mozzarella Di Bufala - 6 x 200 grams. A Dr. Gundry favorite. 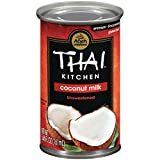 The Thai Kitchen Coconut Cream, 13.66 fl oz. A Dr. Gundry favorite. The Natural Value Organic Coconut Milk, 13.5 Ounce Cans (Pack of 12). A Dr. Gundry favorite. The Premium Coconut Milk by Marion’s Kitchen, BPA Free, Non GMO, All Natural, Unsweetened, Dairy Free, 12 Pack. A Dr. Gundry favorite. The SO DELICIOUS Dairy Free Organic Coconut Milk Beverage, Unsweetened, 32 Ounce. A Dr. Gundry favorite. The So Delicious Dairy-Free Organic Coconutmilk Beverage, Unsweetened, 32 Ounce (Pack of 6) Plant-Based Vegan Dairy Alternative, Great in Smoothies Protein Shakes or Cereal. A Dr. Gundry favorite. The Mt. 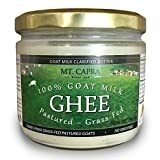 Capra Goat Milk Ghee Grass Fed, 10 Fluid Ounce. A Dr. Gundry favorite. The Nutiva Organic Coconut Manna from Fresh, non-GMO, Sustainably Farmed Coconuts, 15-ounce (Pack of 2). A Dr. Gundry favorite. 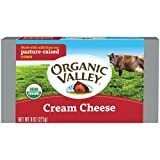 Organic Valley Organic Pasteurized Cream Cheese Bar, 8 Ounce -- 12 per case. The Organic Valley Organic Pasteurized Cream Cheese Bar, 8 Ounce -- 12 per case.. A Dr. Gundry favorite. 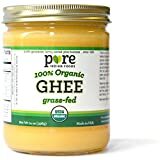 The PURE INDIAN FOODS Grass Fed Ghee, 14 OZ. A Dr. Gundry favorite. 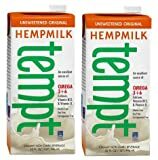 The Living Harvest Tempt Hemp Milk, Unsweetened Original, 32-Ounce Containers (2 Pack). A Dr. Gundry favorite. 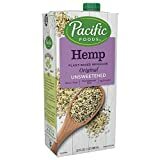 The Living Harvest Tempt Hemp Milk, Unsweetened Original, 32-Ounce Containers (12 Pack). A Dr. Gundry favorite. 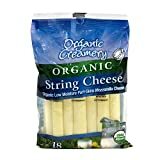 The Organic Creamery Organic String Cheese, 1 oz, 18 Count. A Dr. Gundry favorite. Lifeway Old Fashioned Farmers Probiotic Farmer Cheese, 16 Ounce - 8 per case. The Lifeway Old Fashioned Farmers Probiotic Farmer Cheese, 16 Ounce - 8 per case.. A Dr. Gundry favorite. The Natural Value Organic Coconut Cream, 13.5oz (Pack of 12). A Dr. Gundry favorite. The Natural Value Organic Lite Coconut Milk, 13.5 Ounce Cans (Pack of 12). A Dr. Gundry favorite. 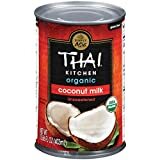 The Thai Kitchen Coconut Milk, 5.46 fl oz (Pack of 24). A Dr. Gundry favorite. The Native Forest Organic Classic Coconut Milk, 13.5-oz. Cans (Count of 12). A Dr. Gundry favorite. 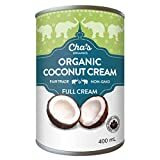 The CHA'S ORGANICS Coconut Cream, 400 ML. A Dr. Gundry favorite. 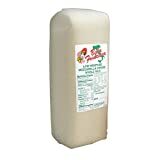 The CHA'S ORGANICS Organic Coconut Milk, 400 ML. A Dr. Gundry favorite. The Healthworks Coconut Milk Powder, (1lb/ 16oz) | Organic | All-Natural | Creamy | Vegan | Dairy Free | Soy Free | Keto | Paleo | Non GMO. A Dr. Gundry favorite. 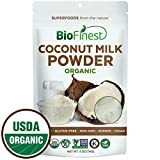 The Biofinest Coconut Milk Powder -100% Pure Antioxidants Superfood - USDA Certified Organic Kosher Vegan Raw Non-GMO - Boost Digestion Detox Weight Loss - for Smoothie Beverage (4 oz Resealable Bag). A Dr. Gundry favorite. 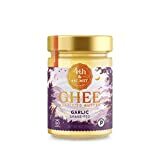 The California Garlic Grass-Fed Ghee Butter by 4th & Heart, 9 Ounce, Pasture Raised, Non-GMO, Lactose Free, Certified Paleo, Keto-Friendly. A Dr. Gundry favorite. 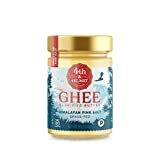 The Himalayan Pink Salt Grass-Fed Ghee Butter by 4th & Heart, 9 Ounce, Pasture Raised, Non-GMO, Lactose Free, Certified Paleo, Keto-Friendly. A Dr. Gundry favorite. The Viva Naturals Organic Ghee 29 oz - from 100% Grass-Fed Cows, Non-GMO, and Certified Paleo Diet Friendly. A Dr. Gundry favorite. 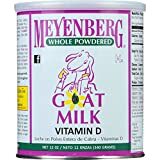 The Meyenberg Canned Powdered Whole Goat Milk, Gluten Free, Soy Free, 16 oz. A Dr. Gundry favorite. The Goat Milk by Mt. Capra | CapraMilk (Non-Fat) an Easy to Digest, Non-GMO Goat Milk Powder from Grass Fed Pastured Goats - 1 Pound. A Dr. Gundry favorite. The Goat Milk by Mt. Capra | CapraMilk (Whole) - A Whole Milk Powder, Easy to Digest - 1 Pound. A Dr. Gundry favorite. The Mozzarella Whole Milk Loaf 6Lb. A Dr. Gundry favorite. 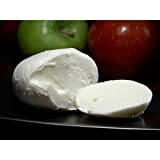 The Fresh Mozzarella (BelGioioso) 2 x 16oz (453g) 2 PK. A Dr. Gundry favorite. 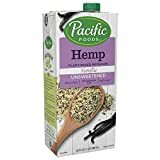 The Pacific Foods Hemp Unsweetened Vanilla Plant-Based Beverage, 32oz. A Dr. Gundry favorite. 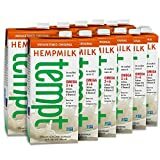 The Living Harvest Tempt Hemp Milk, Unsweetened Vanilla, 32-Ounce Containers (Pack of 12). A Dr. Gundry favorite. The So Delicious Dairy-Free Organic Coconutmilk Beverage, Unsweetened Vanilla, 32 Ounce (Pack of 6) Plant-Based Vegan Dairy Alternative, Great in Smoothies Protein Shakes or Cereal. A Dr. Gundry favorite.